We are in the process of chartering a Credit Union through the State of California Department of Business Oversight. They require a survey of potential clients to prove the need and to assure solvency. The “California Alternative Credit Union” is being chartered to serve the cannabis industry. We have completed the research and can offer our members all banking services, our members will be insured not by FDIC but by another private insurer that is approved by the Department of Business Oversight. 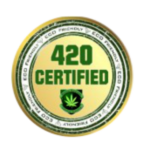 We wish to serve all collectives their administrator/ directors, individual members/ patients, cultivators/ growers, processors/ edible makers, delivery operations/drivers, hydroponics suppliers, testing laboratories, and Lawyers and Doctors. 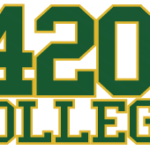 420 College and their associates are intent on providing professional services that will aid Californians to thrive in the next few years of growth in this industry. Our first major project is the credit union as it is a much needed service; several articles have been written and published in the newspapers that even our governmental tax agencies desire a safe banking system. If you are a supporter of the credit union please let us know and if you are willing to come to a special meeting with the Department of Oversight Representative.